No mercy for the bubbles! 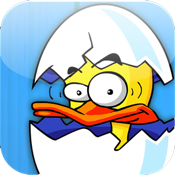 Torn apart from his family long before he hatched, our webbed hero - an amnesiac duckling- finds himself in a bathroom. 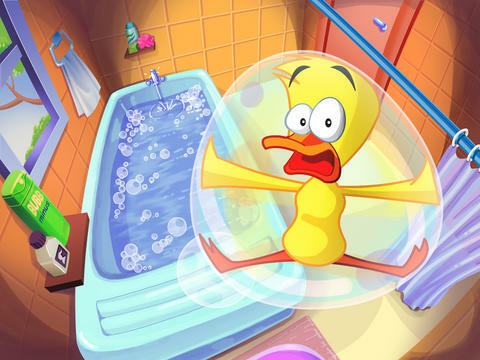 Your mission -should you accept it- is to help him escape from this cursed bathtub by blowing up the bubbles coming from everywhere. You will also help our hero find his name, but don’t waste too much time or you might end up swamped under water.